Table tennis in the O’Donnell basement has brought together students from all walks of Bellarmine life. An entertaining way to de-stress after school, a place to kill time while waiting for a ride, or simply a place to socialize with fellow classmates are all reasons that have been given as to why the O’Donnell basement has been packed with students around the ping pong table. Sophomore Chris Boken has made a trip down to the O’Donnell basement and a few rounds of table tennis a regular routine. “The only reason why I’m down here is to do homework and to play ping pong,” Boken said. However, Sophomore Josh Gibson enjoys the social aspect of table tennis in the O’Donnell basement, one of both leisure and excitement. Freshman Shaan Patel too has made ping pong a part of his regular routine. After being introduced to this culture in the basement of O’Donnell, he has continually returned to engage in the activity. “I just saw [my friend] walking down to the O’Donnell basement and I just followed him, and it’s actually pretty fun,” Patel said. Patel also finds the O’Donnell basement a place to be while waiting for a ride home. “I come in a carpool, and the carpool leaves at 5 o’clock every day, so I’ve made it a part of my daily routine,” he said. 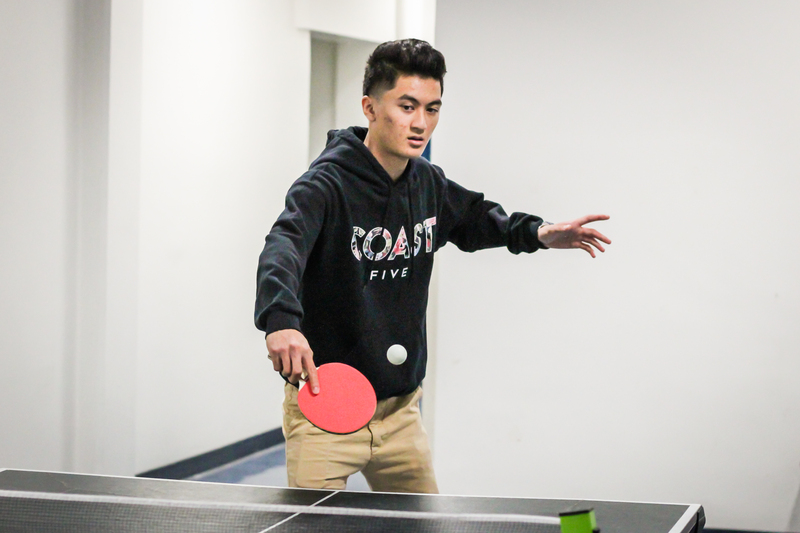 Ping pong culture has given students from all different clubs, sports, and activities a reason to visit O’Donnell basement. Gibson himself is an avid wrestler during the winter, while Boken is a member of the volleyball team. Patel hopes to try out for baseball in the spring. Next The Fifteen Minute Rule: True or False?